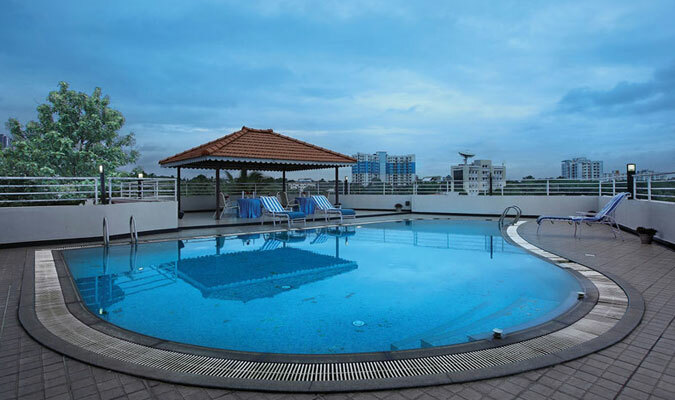 Hotel Park Residency’s strategic location amidst the vicinity of Cochin’s IT sector has made the hotel an ideal place to stay for all the business travelers visiting the town. The hot4el provides some of the best business amenities and services and hence the 3-star abode has gained a special place in the hearts of almost every business family and they chose to stay in this hotel every time they visit the town. Deluxe Room: The rooms are supreme comfy with all modern requirements. Suite Rooms:These rooms are very spacious and feature all facilities required by a corporate guest, not only for work but also for a leisure time with his/her family. Server: Multi-cuisine restaurant known for her spicy food. Megabyte: Serves multi-cuisine buffet for an appetizing dinner. Located in the rooftop, the views offered by the restaurant are amazing. Java:A small dining area serving delectable cuisines from all over India.